Egypt's Court of Cassation overturns life sentence against former president in case revolving around espionage with Hamas. Egypt's Court of Cassation overturned on Tuesday a life sentence against Islamist former President Mohammed Morsi of the Muslim Brotherhood and ordered a retrial in the case that revolves around accusations of espionage with Hamas, Reuters reported. Morsi was one of 22 high-ranking Muslim Brotherhood officials and supporters convicted last year of spying for Hamas. However, the Court of Cassation's ruling on Tuesday overturns all convictions in the case, including life sentences against Mohammed Badie, the General Guide of the Muslim Brotherhood, and 15 others. Senior Brotherhood officials Kheirat al-Shater and Mohamed al-Beltagi as well as oursi aide Ahmed Abdelatti had originally been sentenced to death in the case and also saw their convictions dropped on Tuesday, noted Reuters. 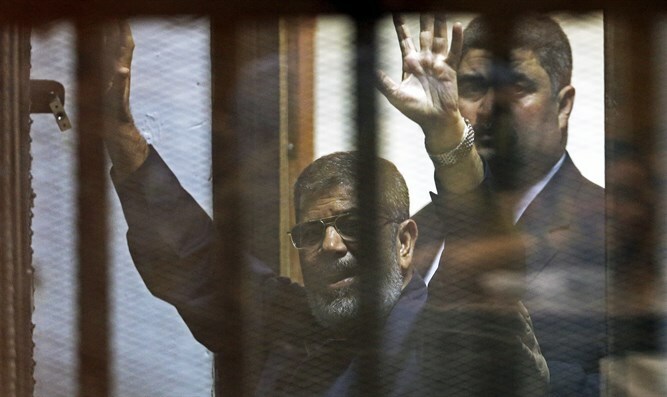 Tuesday’s ruling comes a week after the court overturned a death sentence against Morsi in a case in which he and five other leaders of the Muslim Brotherhood were sentenced for their roles in organizing a mass prison break in 2011. The prison break at Wadi Natroun prison occurred during the uprising against Hosni Mubarak's decades-long rule over Egypt. The former president remains in jail on separate convictions. Since Morsi was toppled by the army, led by current President Abdel Fattah Al-Sisi, in 2013, there has been a crackdown on members of the Muslim Brotherhood, which was outlawed and blacklisted as a terrorist organization. Thousands of Muslim Brotherhood supporters have since been detained and hundreds have received death sentences or lengthy prison terms in mass trials condemned by human rights groups as legally flawed and politically motivated.